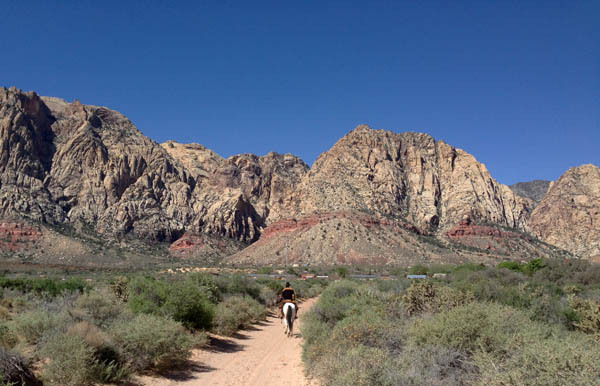 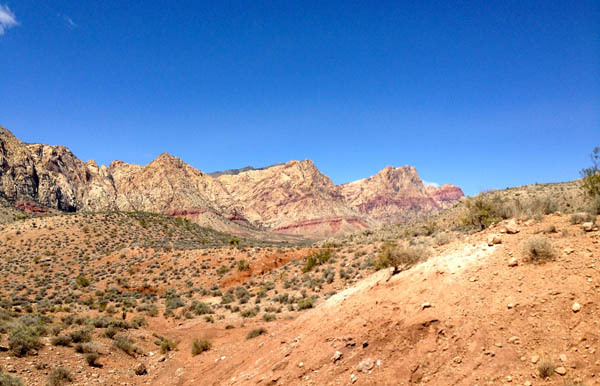 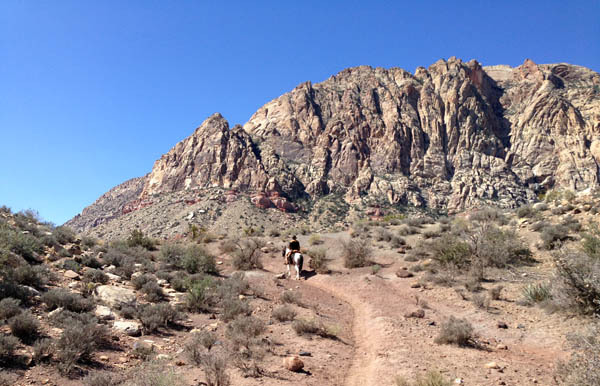 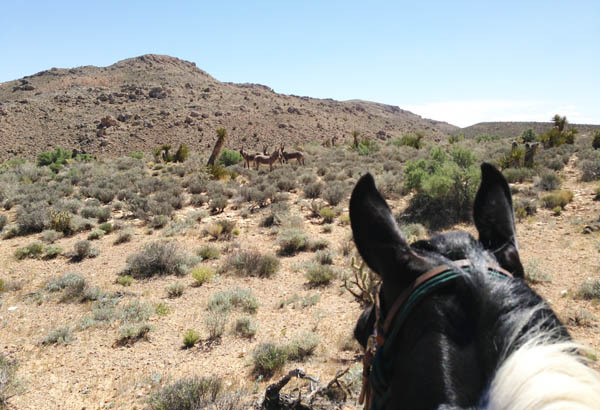 Our first ride out of "Bonnie Springs Ranch". 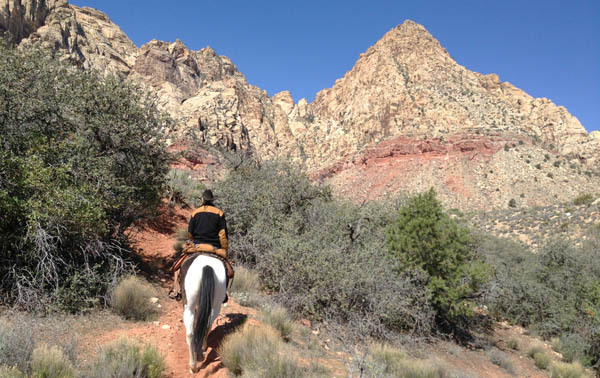 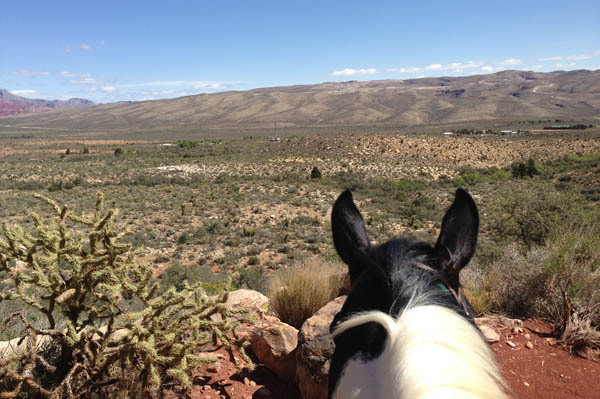 We rode up to the stables from the arena area and headed out the back towards to Canyon walls. 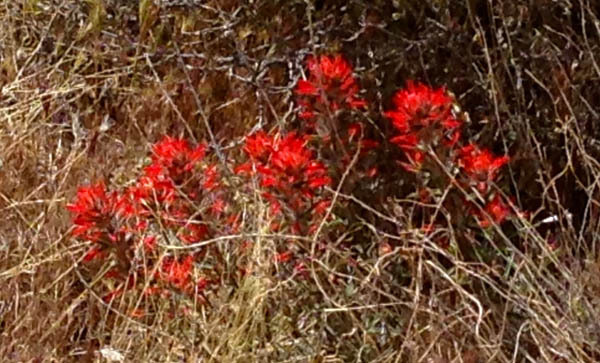 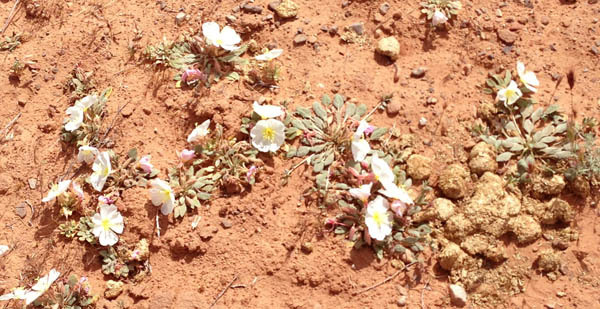 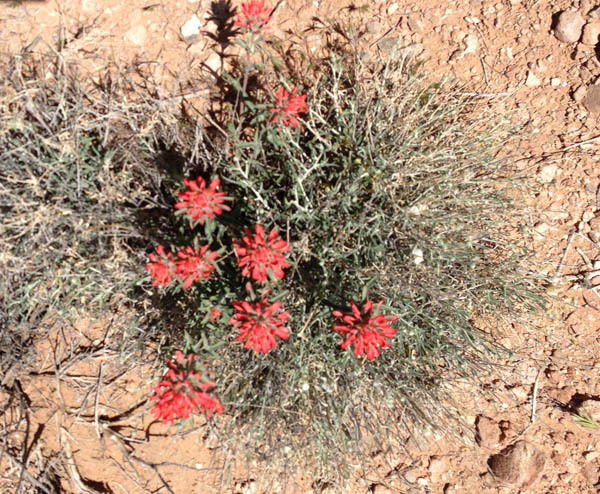 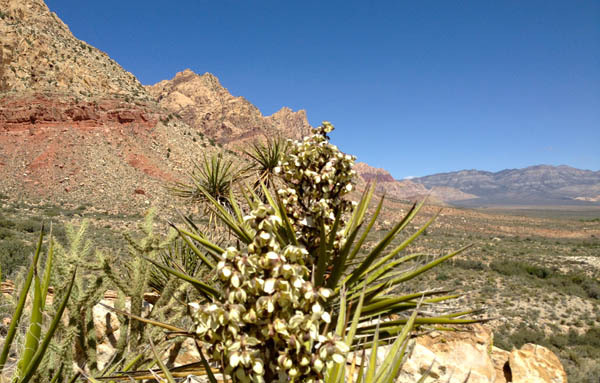 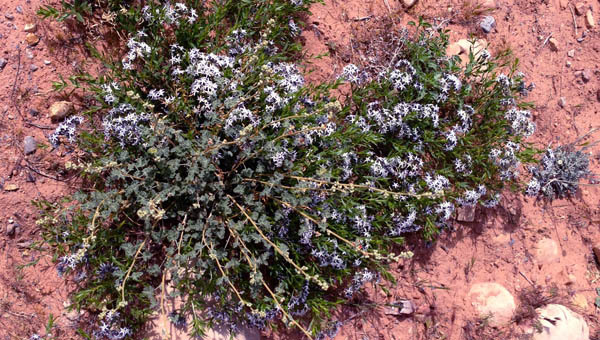 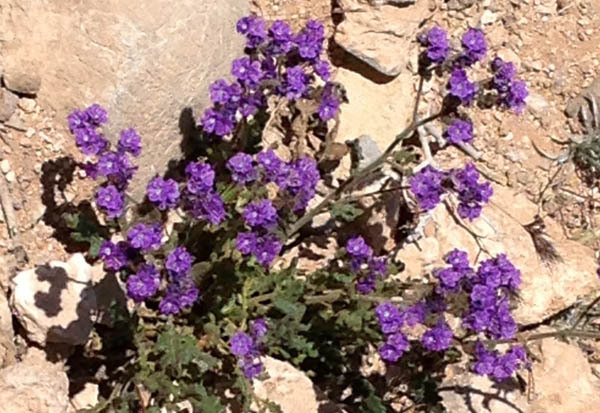 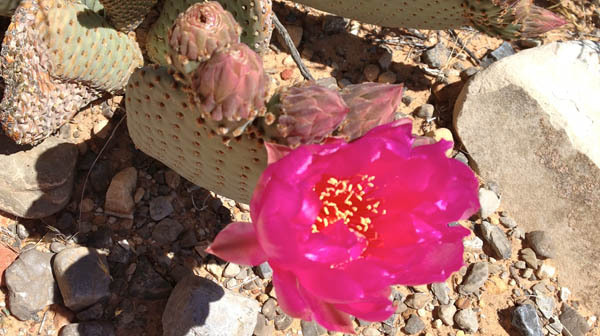 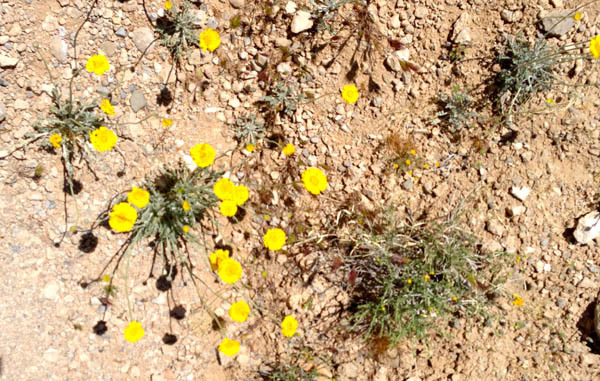 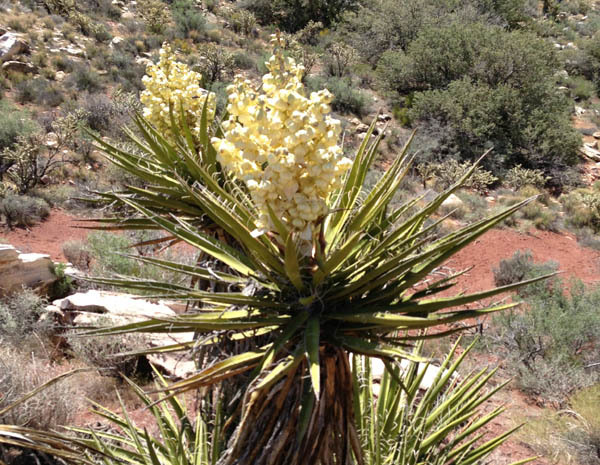 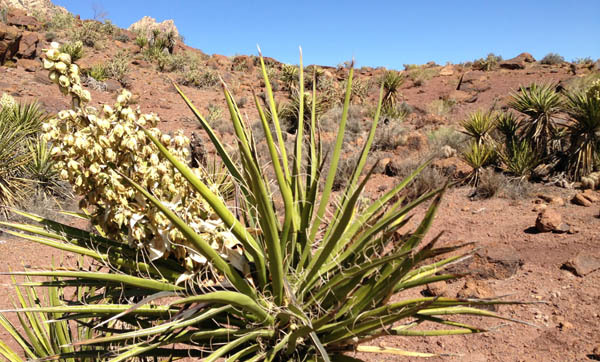 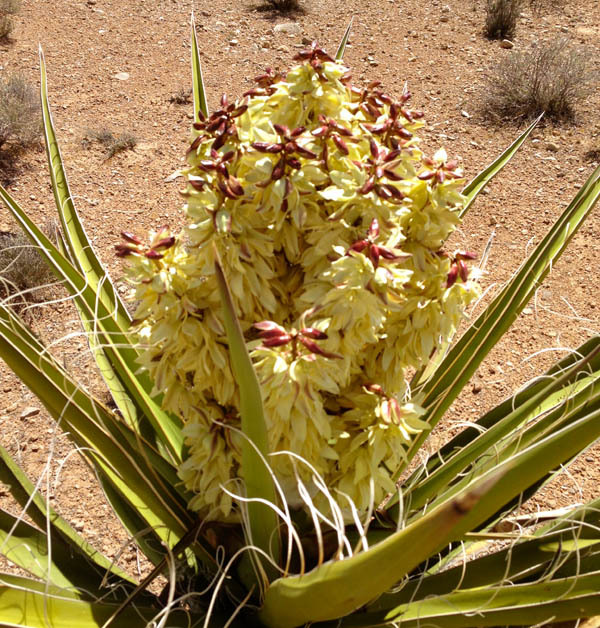 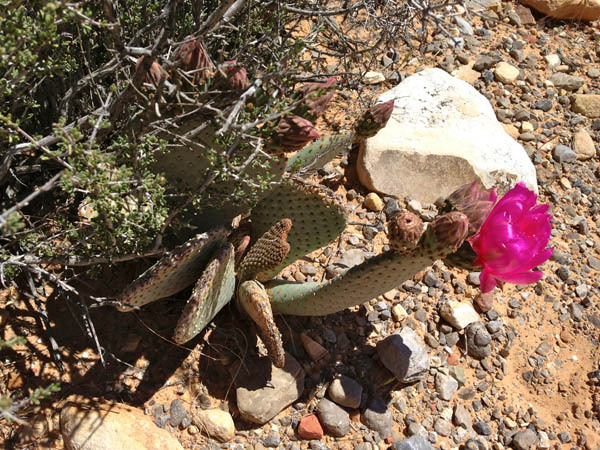 It was amazing to see how many desert flowers were starting to bloom out there. 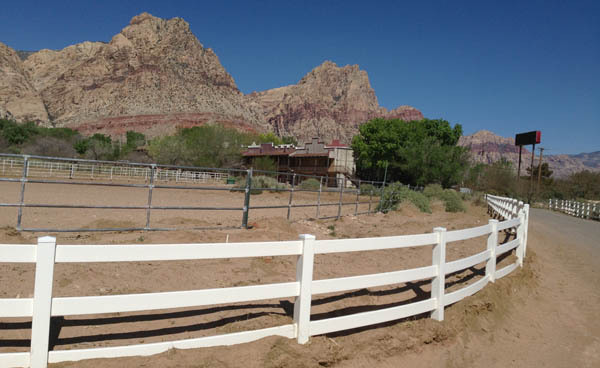 There is a sand road from the area to the stables and ghost-town. 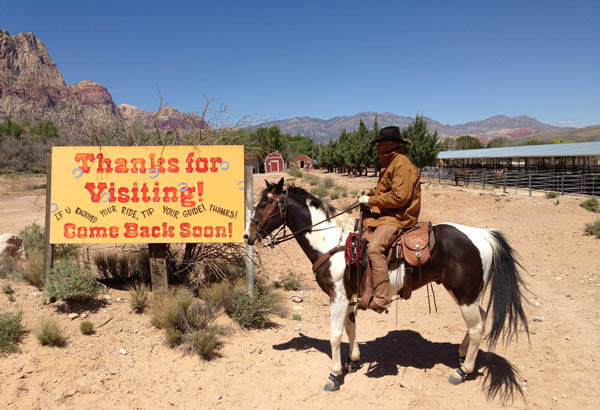 The hotel is like an old ghost town and over looks the red canyon and stables. 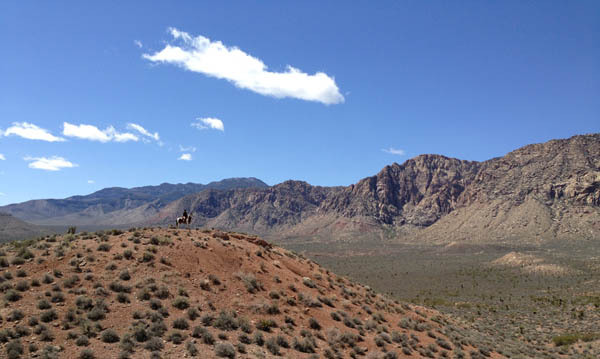 Can you see Ron way up there on the hill? 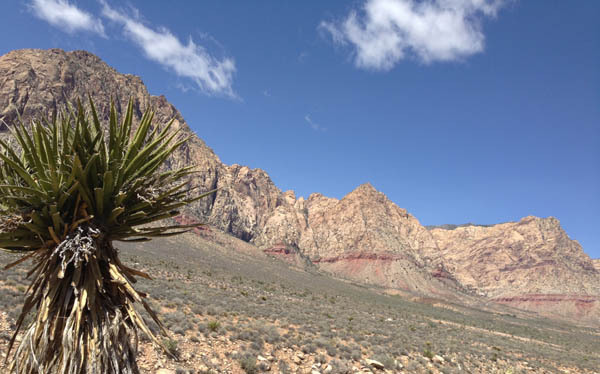 Looking up the "Red Canyon"